PERFECT DOOR SILL PROTECTION. 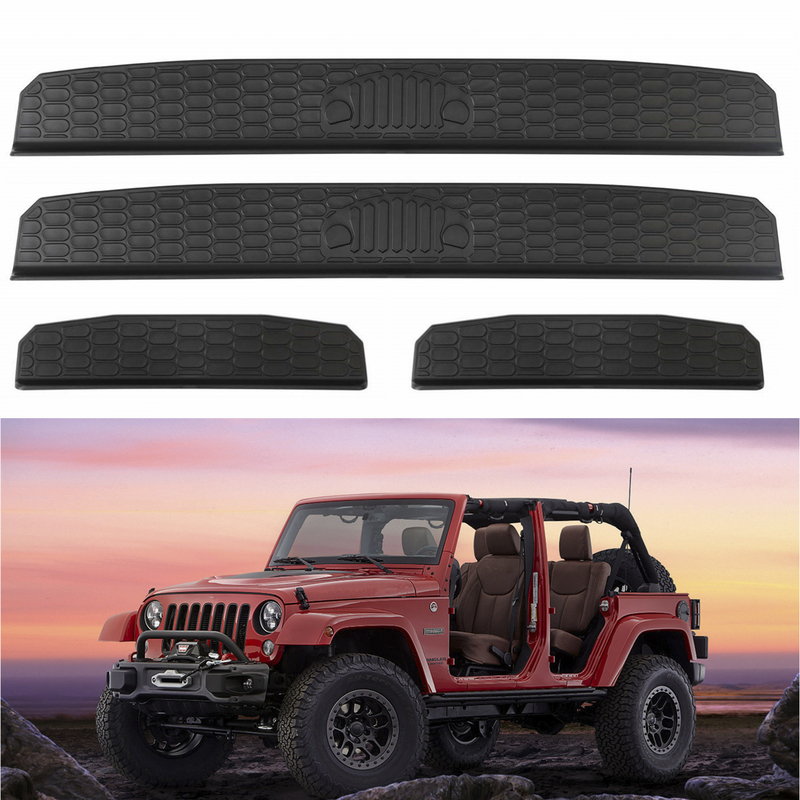 Seven Sparta Jeep Wrangler sill guards’ size and thickness are exactly designed for Jeep Wrangler JL, preventing from scratching up the interior when getting in or out of your Jeep. GOOD ADHESION. Door entry guards contain highest quality 3M tape, keeping the door sill adheres on the Jeep sturdily and last for a long time. JEEP’S NICE ADDITION. 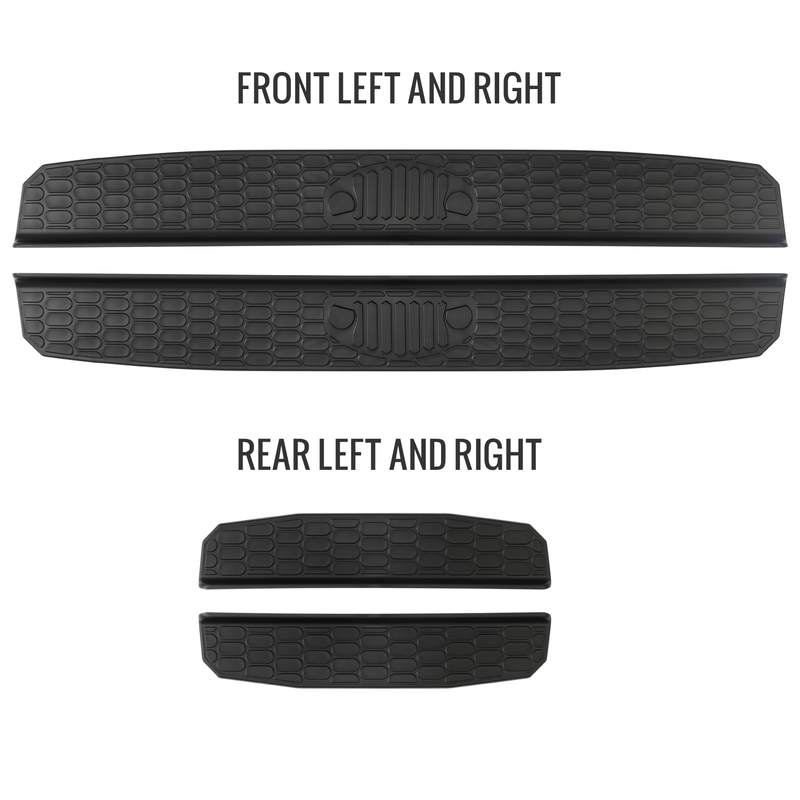 Seven Sparta door sill protectors have nice tread pattern to match your jeep, not only bring your Jeep a new look but also help eliminating all the scuff marks. EASY TO INSTALL. There are double sided premium 3M tapes on the door entry guards, just clean the sill and then peel off the paper, line it up and press it on, all the installations are done. Tips: you can also find the installation video on YouTube if you are confused when installing. Packaging was very good. Quality of the product is also great and it fits perfectly on my Jeep. Recommended item. Came nicely packaged.. Product was very easy to install. The tread marks on the guards help to make it flush with the jeep. The guards will definitely help protect the bottom of the jeep door from scratches.